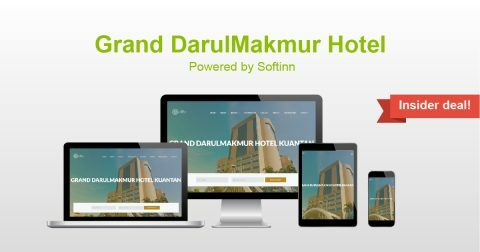 Grand DarulMakmur Hotel is located in the heart of Kuantan town amidst the commercial business centre, the Grand DarulMakmur Hotel forms a most impressive landmark in town. This leading 4 star hotel has been immaculately designed giving a perfect balance between business and leisure, offering facilities and services of international standard and unrivaled ambiance. Get 5% OFF FROM TOTAL when you book now at Grand DarulMakmur Hotel! Use promo code: SOFTINNVIP upon check out. Valid till: 2018-06-08.